I’ve been writing this column for several months now, and I think a major failing in it is that I’ve focused on films and TV from mainly just the USA and Japan. This is primarily because I tend to watch animated films and TV from just the US and Japan, which are countries that I am more familiar with. It being a new year and all, I’d like to make a resolution to try to branch out and check out cartoons from a wider array of countries. I shall start today with the French cartoon known as Wakfu. Wakfu is a French animated TV series that began airing in October of 2008 and is based on an MMORPG (Massive Multiplayer Online Role Playing Game) of the same name. I have never played the game, so when I found the series, I wasn’t sure what I was getting into. What attracted me to it the most was the vibrant animation, which reflects its video game counterpart. As I watched it, the story and world was so extensive that it certainly left me wanting more. The characters were fun and interesting, and though the show seems to be aimed at a younger audience, it does not shy away from darker or more violent moments. Furthermore, its humor relies heavily on pun and innuendo, which I’m sure only an older audience would be able to fully appreciate. Overall, it seems that the creators had a lot of fun building the world of Wakfu and its characters, and I love it when you can tell that the creators of a show had as much fun bringing it to the audience as the audience has watching it. As I said, the world of Wakfu is rather extensive, and the show’s universe and history, extends into the games that its based on, as well as some comics and side-series. But to sum up, the series takes place in “The World of Twelve” so named for the twelve gods that preside over it and the human classes that worship them. Each of these “classes” have various abilities, appearances, and basic personality aspects that are inherited from the god that they worship. The people share the name of the god that they worship. For example, in our main cast, there is a girl who worships the god named “Sadida,” and so her people are also known as the “Sadida.” The World of Twelve is filled with an energy known as “wakfu” which is basically life energy, but can be used to perform various magics. Our story revolves around a young boy, named Yugo who’s powers to create portals links him with an ancient people known as “Eliatropes” who are known to be connected to the long thought to be extinct dragons. He thus must go on a quest to find his family and where he came from. He is joined by a miserly old “Enutrof” named Ruel, a brave “Iop” knight called Sir Tristepin of Percedal, the Sadida Princess Amalia, and her “Cra” friend Evangeline. From left to right: Yugo, Ruel, Amalia, Tristepin, Evangeline. I know I am putting a lot of weight on trying to explain the world, which sounds boring when I’m just writing it out in a paragraph. This is a terrible failing on my part, since the show actually does an excellent job of bringing the viewer into the world. It doesn’t do so with boring exposition, like what I’m doing, and instead allows the interactions between the characters to be natural, thereby giving the audience clues and hints to the world so that they may fill in the blanks themselves. One of my main problems with some fantasy stories is that they can often be exposition-heavy, with the characters having a conversation about aspects of whatever world they are in. This technique, though straightforward, is very unrealistic and lowers the suspension of disbelief because it is often obvious that they are doing it for the audience’s sake. Wakfu on the other hand, just drops you into the World of Twelve and allows you to figure things out on your own. I’m not sure if they did this because they assumed that the viewer has played the games or because they don’t want to play down to the audience. But whatever the reason, as someone who did not play the games and had no prior knowledge to the series, I liked it and was able to understand things quite easily. And what a fascinating world it is! 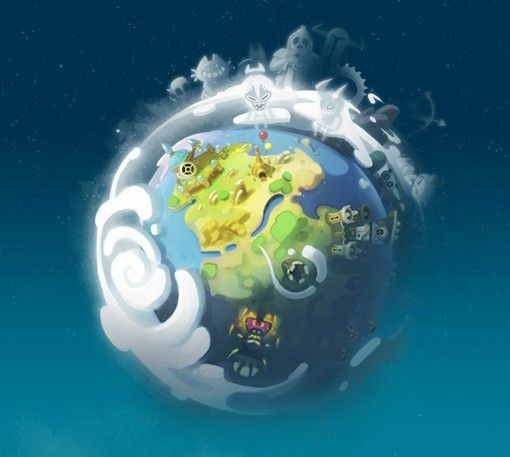 The world-building aspect of Wakfu is probably one of my favorite parts of the series! Some of it is derivative, such as the “Cra” people being very much like the elves in Lord of the Rings, what with their pointy ears, rather haughty nature, and penchant for using bows and arrows. But then you’ve got interesting concepts like the Eliatrope people being born in eggs along with a dragon twin. Or demons trapped in items and weaponry, looked after by “Iop” Guardians so they don’t possess those who come in contact with them. The creation story of the world also has a mythology feel to it, and the constant mention of “Ogrest’s Chaos” hints at a fairy tale to be told. It does a great job of incorporating all these aspects of the world into the plot as well. Speaking of the plot, I should probably get to that. If you are a fantasy-adventure lover like me, then this is definitely a show for you. The story mainly revolves around a main quest for each season or part of the series, with some episodic stories mixed in. The first season revolves around Yugo trying to find his family and to find the dragons. He is pursued by the season’s main antagonist named Nox who is a time mage looking to steal the wakfu from powerful sources (such as dragons). This also turns into a quest to save the Sadida people from Nox’s wakfu-stealing machines. The second season, builds more on the history of the world and more is revealed about the Eliatropes and dragons. We also get two new villains. One whom I won’t say due to spoilers, and the king of the demons named Rushu. The third part comes in the form of three 45-minute special episodes, which takes place roughly five years after the second season, and involves the powerful creature known as Ogrest, whose magic tears may flood the world. One of my main complaints of the story is not necessarily a complaint, since it is a rather good marketing strategy and can be seen as an example of good writing. This complaint is that I have yet to feel any closure to the overall story. This is because each season (or special) leaves certain questions unanswered and certain plot points unfinished. This made me rather frustrated when I finished the second season feeling like there were parts missing. But then over two years later the specials came out, and I was excited to see the completion of the series. However, even the specials left one tie loose, which became a rather large cliffhanger. Luckily, there is a third season on the way that is supposed to come out later this year, which I am super excited about. But man, is it frustrating to have that lack of closure. As I said, this is a clever move on the creator’s part, as it certainly leaves its viewers wanting more. As for what I applaud the series for, I very much enjoy the animation and the characters. Just as this series has an expansive universe, its characters are also rather expansive. In addition to the main cast, there are many different minor characters that are really interesting. For instance, a minor ally called Joris, is a very fascinating character, with a supposed vast backstory (which is later expanded on in a side-series). There is also a minor villain character in the second season named Remington Smisse who has a talking cat whom he calls his “brother” – there’s got to be a story there. But with these side characters, rarely do we get more of a story from them in Wakfu. I suppose that’s another example of that frustration of wanting more, but I do like the mystery of wondering “what is their story?” It’s also probably a good move on the creator’s part to not focus so much on minor characters, since that could detract from the main ones or from the main plot. A couple of characters that I am really impressed by are the first season’s villain, Nox, and the specials’ villain, Ogrest. Both of these characters get their own special side episodes that expand on their story. Nox’s episode focuses on how he became the villain. Ogrest’s episode portrays Ogrest himself as the hero of the episode, and relays an adventure that he took as a child. I think these villains are the best character writing aspects of Wakfu because they give a certain sense of moral ambiguity. Ogrest’s episode leaves us with the phrase that “being a hero is rather a point of view,” which is poetic in that he is the hero in that particular story, but the villain in the main series. In my opinion, Nox is one of the more compelling villains in animation in general. His is one of those “villain due to circumstance” type of stories, but is a bit more complicated than simply that. Throughout the story, he does not see the harm in what he is doing, and thinks that once he achieves his goal, all will be well. His downfall and revelation to what he has done is probably one of the more depressing parts of the series because the show manages to gain sympathy for him despite his wrongdoings. This is where the second season fails in my view, because its main villains are much more generic, destroy-the-world type of villains, and have little-to-no depth. I like my moral ambiguity. Nox, in one of the more heart-wrenching scenes of Wakfu. 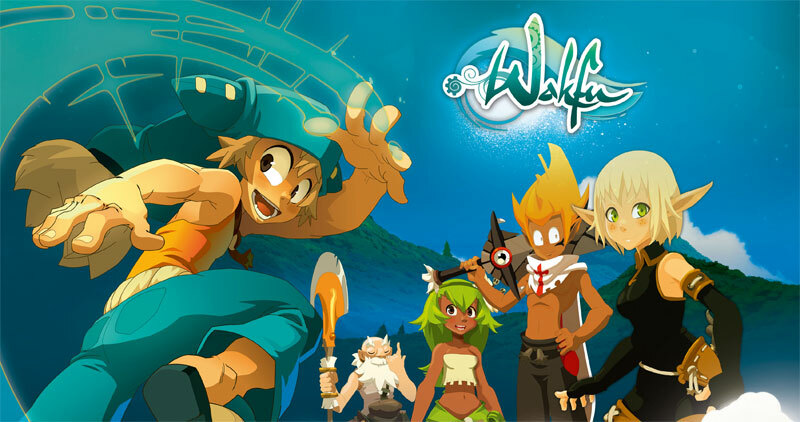 To sum up, Wakfu is a fun action-packed fantasy adventure story, with good characters, an interwoven plot, amazing world-building, and great animation. The series can be enjoyed by all ages, and by those who played the game or those who didn’t. Wakfu can be found on Netflix in both English and French-with-subtitles; though I recommend it in French as I find some of the English voices grating. I really love diving into the World of Twelve, and I hope that you will be able to enjoy it as well. Thanks! I hope you enjoy the show!